Combine extra virgin coconut oil, lemon juice, Dijon mustard, onion, black pepper, Cajun seasoning, cilantro, and cayenne pepper in a shallow glass baking dish. Add swordfish steaks, turning to coat with marinade. Cover and refrigerate for at least 30 minutes, turning occasionally. 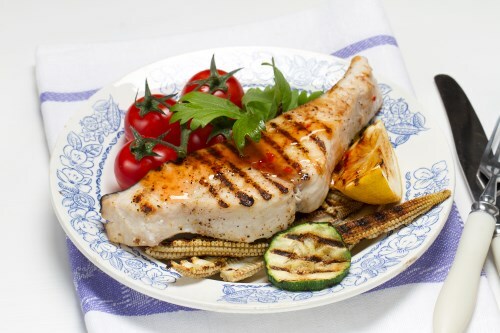 Grill swordfish steaks for 5 to 6 minutes on each side until the fish flakes easily with a fork.